Nature, as an untamed world little touched by human civilization, has always been a source of inspiration for painters, musicians and poets. The eternal and unchanging natural cycle of growth and decay has always been seen as a reflection of the divine or the 'Great Spirit'. In fairy tales, myths and sagas, people have sought for thousands of years to make the secrets of creation comprehensible and directly accessible. 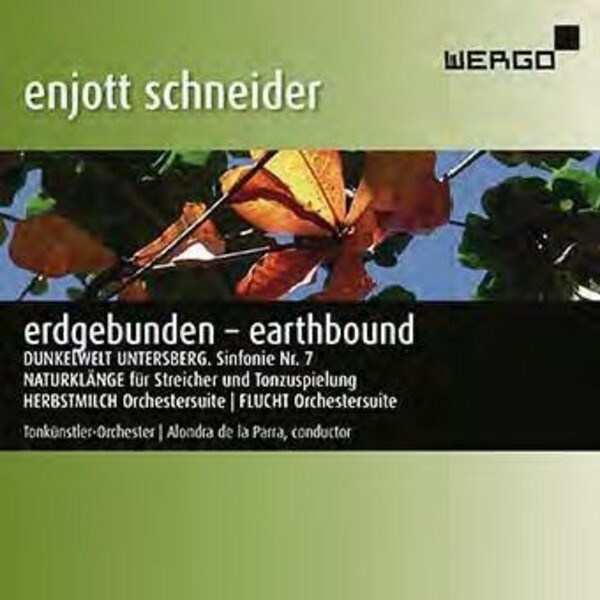 The compositions of Enjott Schneider on this CD approach nature in various ways: In the Seventh Symphony 'Dunkelwelt Untersberg' [The Dark World of Untersberg], the myths surrounding a legendary table mountain in the Alps are examined musically. 'Naturkl�nge' [Sounds of Nature] is about pure sound as a natural phenomenon and about Claude Debussy�s impressive experience of the world, with the fascination with the 'sea' expressing here the connection we feel to our planet Earth.